Post: Gaurav Akrani. Date: 9/16/2010. Comment (1). Label: Banking. Directed Investment Programme : The committee objected to the system of maintaining high liquid assets by commercial banks in the form of cash, gold and unencumbered government securities. It is also known as the statutory liquidity Ratio (SLR). In those days, in India, the SLR was as high as 38.5 percent. According to the M. Narasimham's Committee it was one of the reasons for the poor profitability of banks. Similarly, the Cash Reserve Ratio- (CRR) was as high as 15 percent. Taken together, banks needed to maintain 53.5 percent of their resources idle with the RBI. Directed Credit Programme : Since nationalization the government has encouraged the lending to agriculture and small-scale industries at a confessional rate of interest. It is known as the directed credit programme. The committee opined that these sectors have matured and thus do not need such financial support. This directed credit programme was successful from the government's point of view but it affected commercial banks in a bad manner. Basically it deteriorated the quality of loan, resulted in a shift from the security oriented loan to purpose oriented. Banks were given a huge target of priority sector lending, etc. ultimately leading to profit erosion of banks. Interest Rate Structure : The committee found that the interest rate structure and rate of interest in India are highly regulated and controlled by the government. They also found that government used bank funds at a cheap rate under the SLR. At the same time the government advocated the philosophy of subsidized lending to certain sectors. The committee felt that there was no need for interest subsidy. It made banks handicapped in terms of building main strength and expanding credit supply. Additional Suggestions : Committee also suggested that the determination of interest rate should be on grounds of market forces. It further suggested minimizing the slabs of interest. Along with these major problem areas M. Narasimham's Committee also found various inconsistencies regarding the banking system in India. In order to remove them and make it more vibrant and efficient, it has given the following recommendations. The Narsimham Committee was set up in order to study the problems of the Indian financial system and to suggest some recommendations for improvement in the efficiency and productivity of the financial institution. Reduction in the SLR and CRR : The committee recommended the reduction of the higher proportion of the Statutory Liquidity Ratio 'SLR' and the Cash Reserve Ratio 'CRR'. Both of these ratios were very high at that time. The SLR then was 38.5% and CRR was 15%. This high amount of SLR and CRR meant locking the bank resources for government uses. It was hindrance in the productivity of the bank thus the committee recommended their gradual reduction. SLR was recommended to reduce from 38.5% to 25% and CRR from 15% to 3 to 5%. Phasing out Directed Credit Programme : In India, since nationalization, directed credit programmes were adopted by the government. The committee recommended phasing out of this programme. This programme compelled banks to earmark then financial resources for the needy and poor sectors at confessional rates of interest. It was reducing the profitability of banks and thus the committee recommended the stopping of this programme. Interest Rate Determination : The committee felt that the interest rates in India are regulated and controlled by the authorities. The determination of the interest rate should be on the grounds of market forces such as the demand for and the supply of fund. Hence the committee recommended eliminating government controls on interest rate and phasing out the concessional interest rates for the priority sector. Structural Reorganizations of the Banking sector : The committee recommended that the actual numbers of public sector banks need to be reduced. Three to four big banks including SBI should be developed as international banks. Eight to Ten Banks having nationwide presence should concentrate on the national and universal banking services. Local banks should concentrate on region specific banking. Regarding the RRBs (Regional Rural Banks), it recommended that they should focus on agriculture and rural financing. They recommended that the government should assure that henceforth there won't be any nationalization and private and foreign banks should be allowed liberal entry in India. Establishment of the ARF Tribunal : The proportion of bad debts and Non-performing asset (NPA) of the public sector Banks and Development Financial Institute was very alarming in those days. The committee recommended the establishment of an Asset Reconstruction Fund (ARF). This fund will take over the proportion of the bad and doubtful debts from the banks and financial institutes. It would help banks to get rid of bad debts. Removal of Dual control : Those days banks were under the dual control of the Reserve Bank of India (RBI) and the Banking Division of the Ministry of Finance (Government of India). The committee recommended the stepping of this system. It considered and recommended that the RBI should be the only main agency to regulate banking in India. Banking Autonomy : The committee recommended that the public sector banks should be free and autonomous. In order to pursue competitiveness and efficiency, banks must enjoy autonomy so that they can reform the work culture and banking technology upgradation will thus be easy. Some of these recommendations were later accepted by the Government of India and became banking reforms. 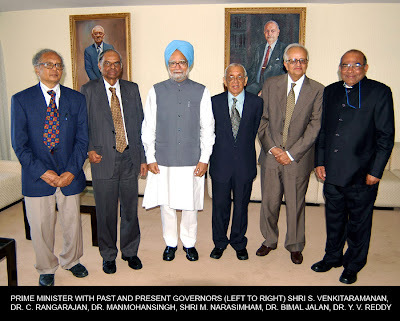 In 1998 the government appointed yet another committee under the chairmanship of Mr. Narsimham. It is better known as the Banking Sector Committee. It was told to review the banking reform progress and design a programme for further strengthening the financial system of India. The committee focused on various areas such as capital adequacy, bank mergers, bank legislation, etc. It submitted its report to the Government in April 1998 with the following recommendations. Strengthening Banks in India : The committee considered the stronger banking system in the context of the Current Account Convertibility 'CAC'. It thought that Indian banks must be capable of handling problems regarding domestic liquidity and exchange rate management in the light of CAC. Thus, it recommended the merger of strong banks which will have 'multiplier effect' on the industry. Narrow Banking : Those days many public sector banks were facing a problem of the Non-performing assets (NPAs). Some of them had NPAs were as high as 20 percent of their assets. Thus for successful rehabilitation of these banks it recommended 'Narrow Banking Concept' where weak banks will be allowed to place their funds only in short term and risk free assets. Capital Adequacy Ratio : In order to improve the inherent strength of the Indian banking system the committee recommended that the Government should raise the prescribed capital adequacy norms. This will further improve their absorption capacity also. Currently the capital adequacy ration for Indian banks is at 9 percent. Bank ownership : As it had earlier mentioned the freedom for banks in its working and bank autonomy, it felt that the government control over the banks in the form of management and ownership and bank autonomy does not go hand in hand and thus it recommended a review of functions of boards and enabled them to adopt professional corporate strategy. Review of banking laws : The committee considered that there was an urgent need for reviewing and amending main laws governing Indian Banking Industry like RBI Act, Banking Regulation Act, State Bank of India Act, Bank Nationalisation Act, etc. This upgradation will bring them in line with the present needs of the banking sector in India. Apart from these major recommendations, the committee has also recommended faster computerization, technology upgradation, training of staff, depoliticizing of banks, professionalism in banking, reviewing bank recruitment, etc. The Committee was first set up in 1991 under the chairmanship of Mr. M. Narasimham who was 13th governor of RBI. Only a few of its recommendations became banking reforms of India and others were not at all considered. Because of this a second committee was again set up in 1998. As far as recommendations regarding bank restructuring, management freedom, strengthening the regulation are concerned, the RBI has to play a major role. If the major recommendations of this committee are accepted, it will prove to be fruitful in making Indian banks more profitable and efficient. It was a great change in the banking sector..